Close engagement with the jungle around his house in pre-Partition Punjab prompted Ved Nayar’s earliest creative urges. Partition uprooted Nayar’s family, shifting it to New Delhi, where he did his graduation from St. Stephen’s College, New Delhi, in 1952. 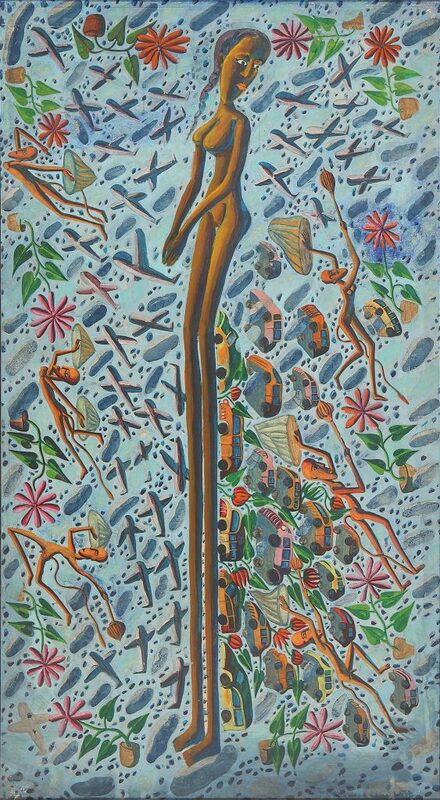 In 1957, Nayar finished a diploma in fine arts from the College of Art, New Delhi, and exhibited his works at Lalit Kala Akademi’s national exhibition. 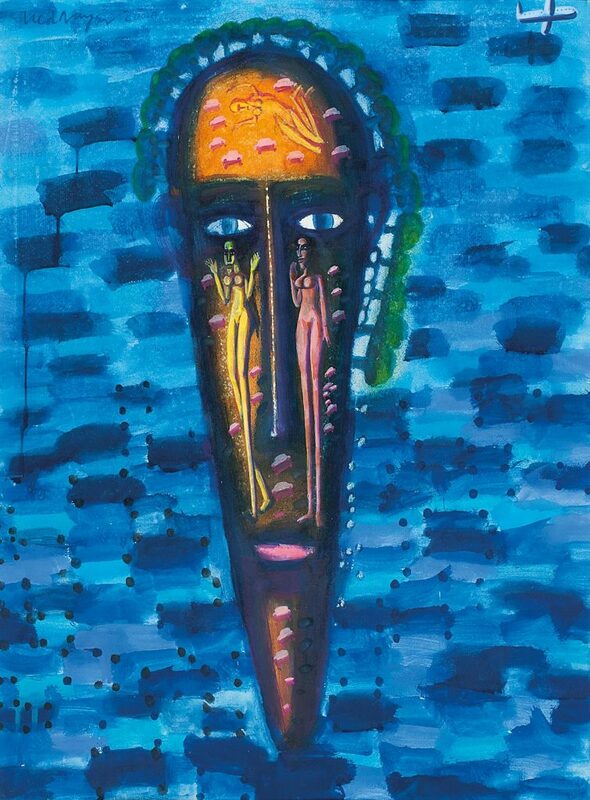 Initially a painter, Nayar later included other mediums such as sculpture, installation, archival digital print and photography in his creative work. 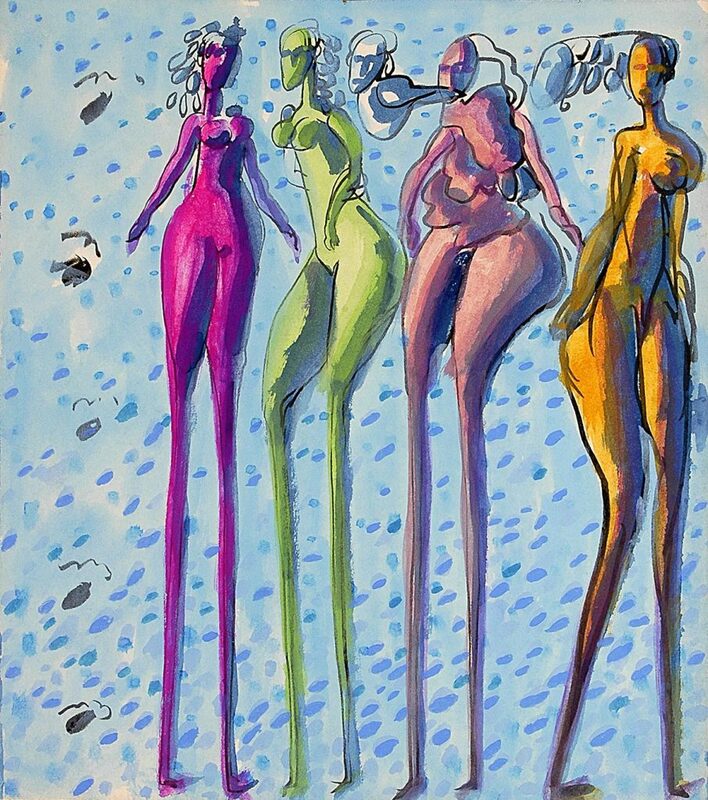 The abstract derivations with ritual connotations in the artist’s first paintings gradually evolved into an iconic figure of an elongated human form, mostly a female, who dwelt in the in-between space between the earth and the skies. 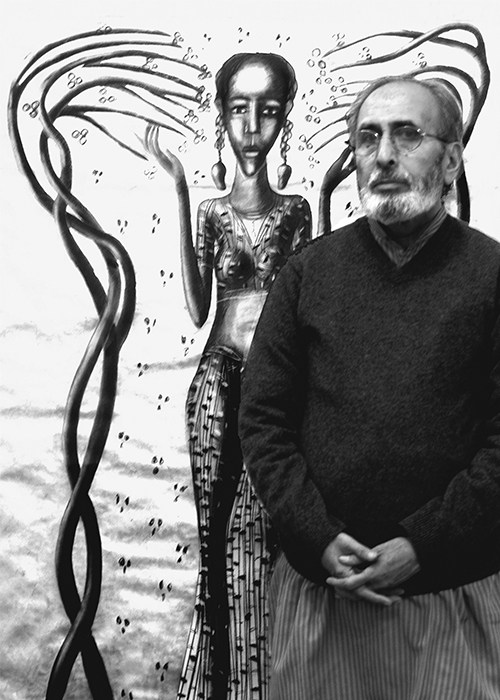 Nayar’s art addresses human and environmental concerns. Rooted in the present, he gazes into the future with an ironic look at mass consumerism and cultural globalisation. At the same time, his engagement with the quest for immortality sweeps away cultural dimensions of the sacred and the profane, the local and the global. Nayar has organised and participated in numerous exhibitions, workshops and art camps in India and abroad. Nayar won the 1981 Lalit Kala Akademi National Award for his sculpture Mankind-2110.